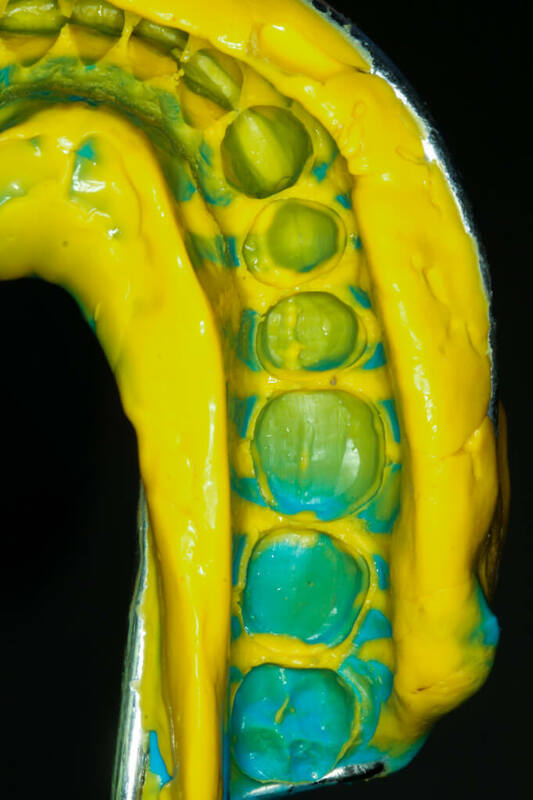 Neuromuscular, bioesthetic, and functionally guided dentistry are interdependent fields of the dental practice, and only when they are brought together can conclude in outstanding long-term outcomes. 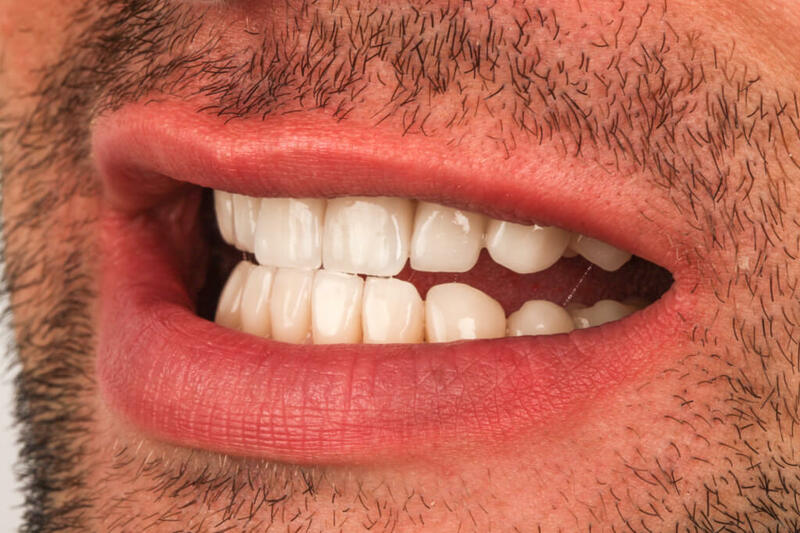 Aesthetic dentistry follows the general principle that „function creates the structure/organ”, in other words, that function must be built into a new smile to obtain successful results. 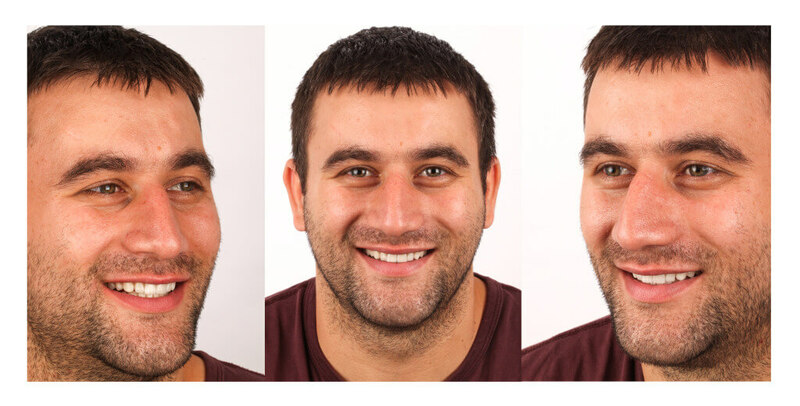 Unfortunately, there are cases when aesthetic dentistry uses the patient’s habitual occlusion as a template upon which the new smile is built. 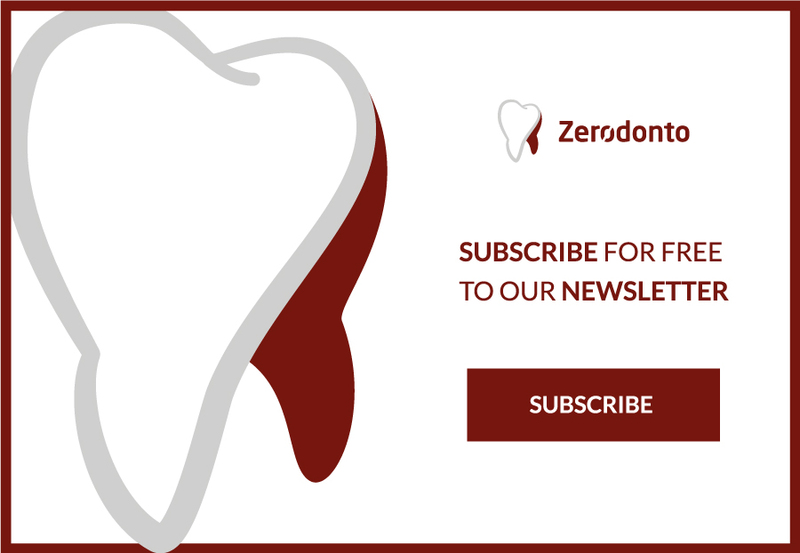 However, the habitual bite many times is deteriorated and often is not highly functional. It is very important to always remember that form and function are inherently tied together and cannot be separated. 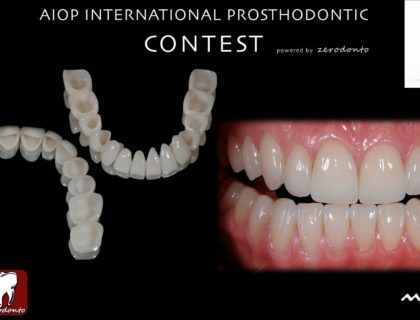 Therefore, on one hand, prosthetic restoration which follows all the functionally paramethers, will most likely possess excellent aesthetic qualities, and on the other hand, imbalancies in the oro-maxillary system can affect the the durability of the aesthetic work. 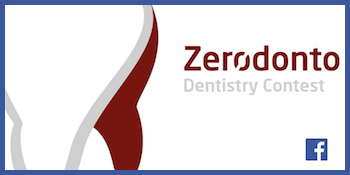 A 28 years old male patient presented in our clinic reporting teeth hypersensitivity and unsatisfactory esthetic smile. 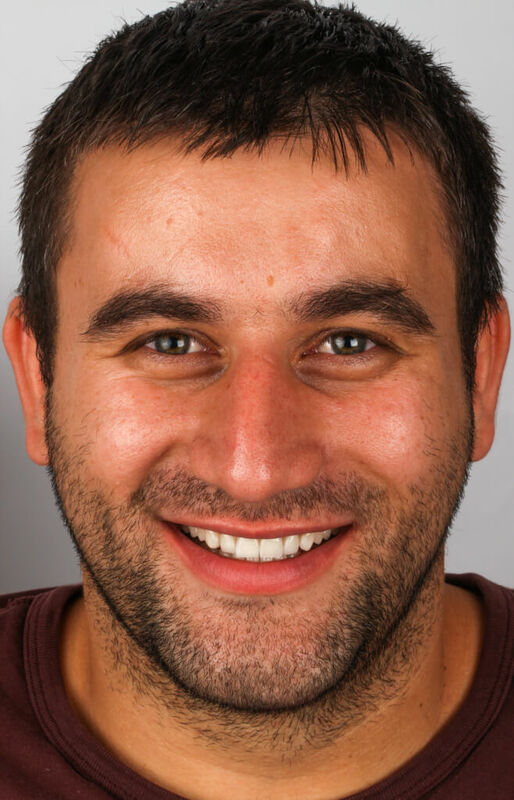 The patient history revealed that he used to consume large quantities of carbohydrate drinks and that he suffered from nocturnal bruxism. The medical history was noncontributory. 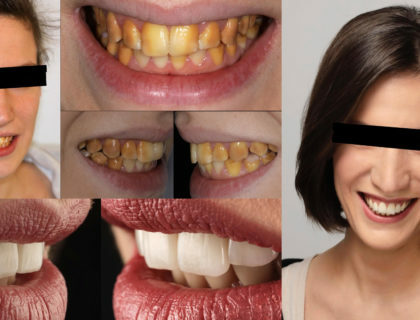 The clinical examination showed no carious lesions, good hygiene, advanced attrition on al teeth and also extended chemical erosions(class V Ace classification) on the buccal and occlusal surfaces for the mandibular arch and on the buccal, occlusal and also palatine surfaces for the maxillary arch. 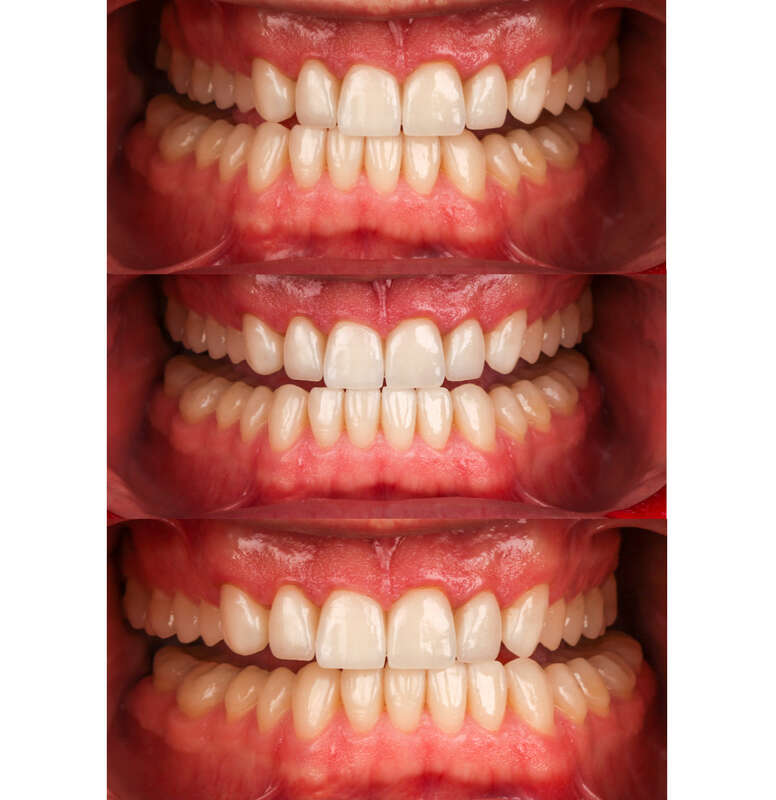 Periodontal: The periodontal examination revealed reduced gingival inflamation, with only localized and light bleeding. Functional: The masseter and temporalis muscles were comfortable on palpation. 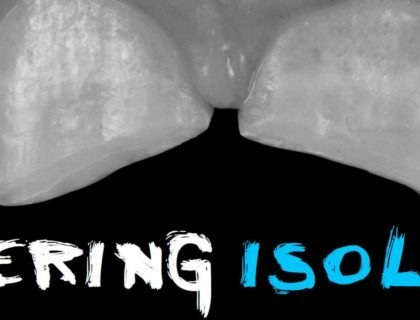 Both temporomandibular joints accepted loading without discomfort, and the range of motion was higher than normal. Also, the examination revealed clicking sounds of both his joints. Anterior tooth coupling was present, but with no antherior guidance on the incisors with advanced loss of hard tissue noted on the anterior teeth, more accentuated on the frontal teeth than on the posterior teeth. 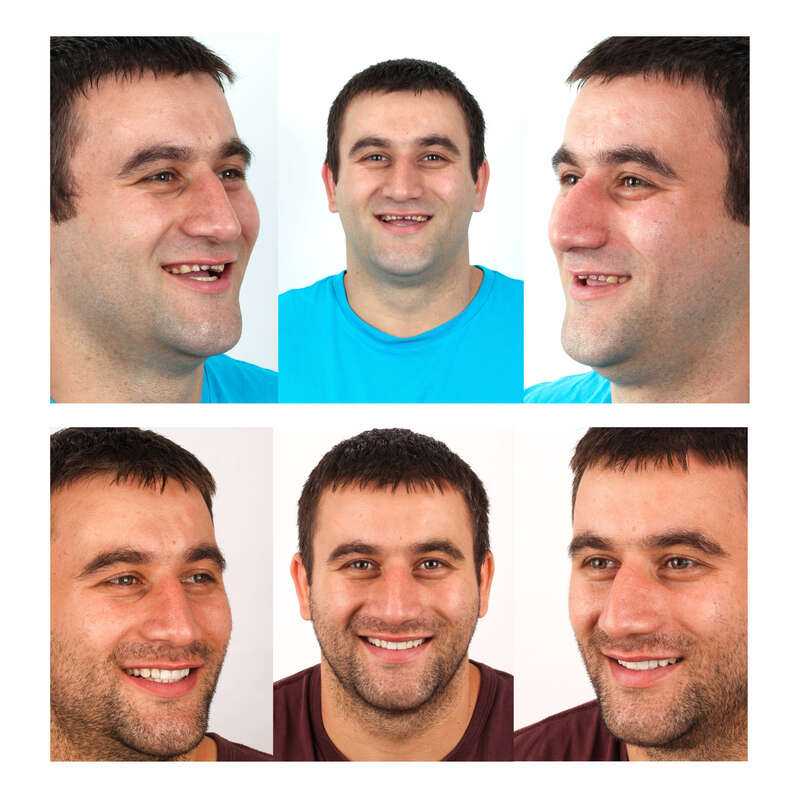 Dentofacial: Advanced attrition on all the teeth and also extended chemical erosions(class V Ace classification) were found on the buccal and occlusal surfaces for the mandibular arch and on the buccal, occlusal and also palatine surfaces for the maxillary arch. Those lesions caused imbalances in the facial paramethers. 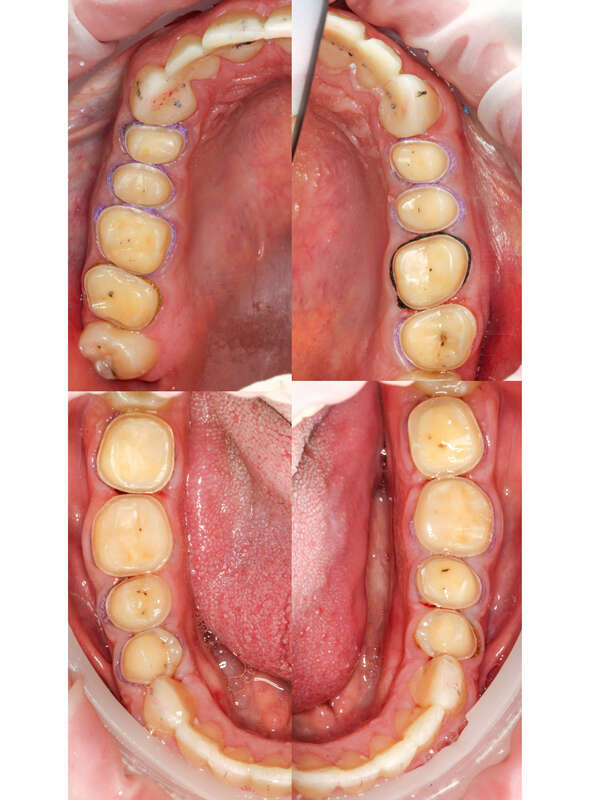 The treatment goal is to restore the functionality of the dento-maxillary system (the correct mandibulo-cranian relations) while achieving the highest aesthetic standards, using adhesively retained ceramic restorations. 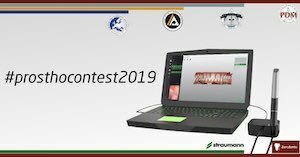 The first session consisted of an thorough clinical and paraclinical examination (orthopantomography, dental photography, diagnostic study models). The centric relation was evaluated and determined Du Jour, after a 30 minutes deconditioning using leaf-gauge and registered with an Artex face-bow. 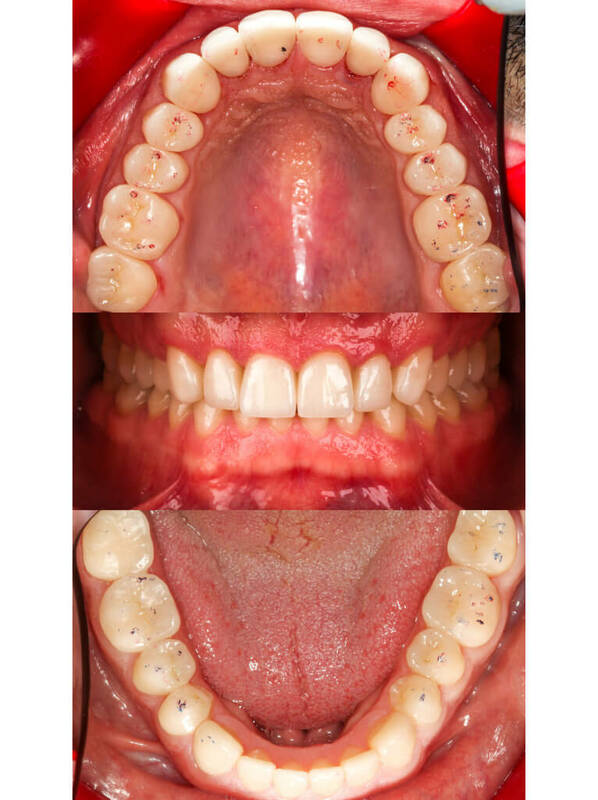 Also, the treatment plan was accomplished using Dental Smile Design. 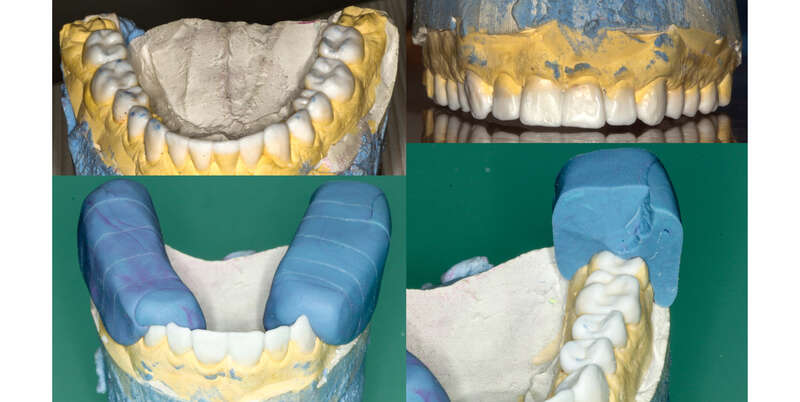 Using the Dental Smile Design tool, a wax-up model was realized by the dental technician, which helped the clinician to transfer the “mock-up” and to evaluate, not only the aesthetic aspect of the future restorations, but also the functionality . 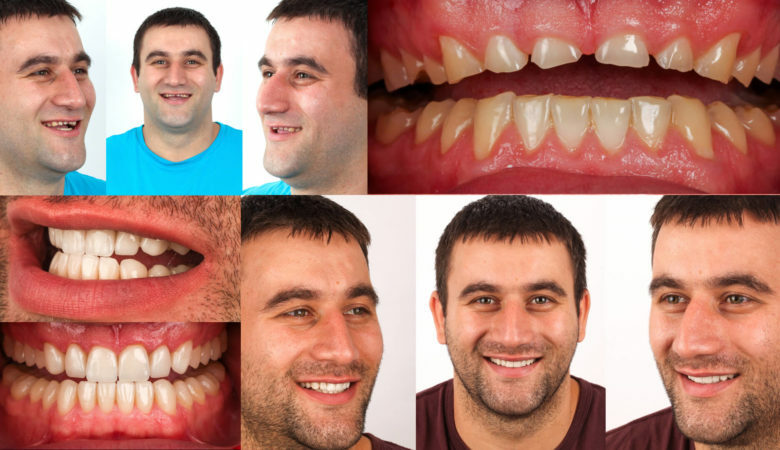 Any alteration pointed by the patient and/or the clinician was analyzed, discussed, and adjusted. 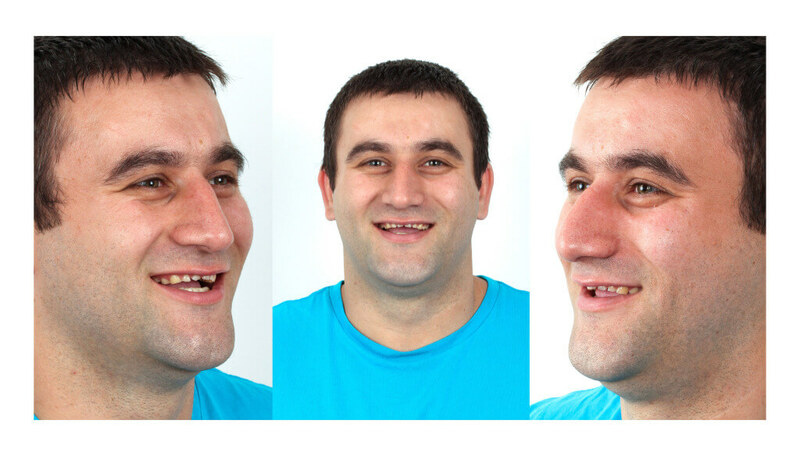 Static and dynamic oclussal parameters were evaluated, as well as dentofacial aspects(for example, lip line and maxillary teeth exposure). 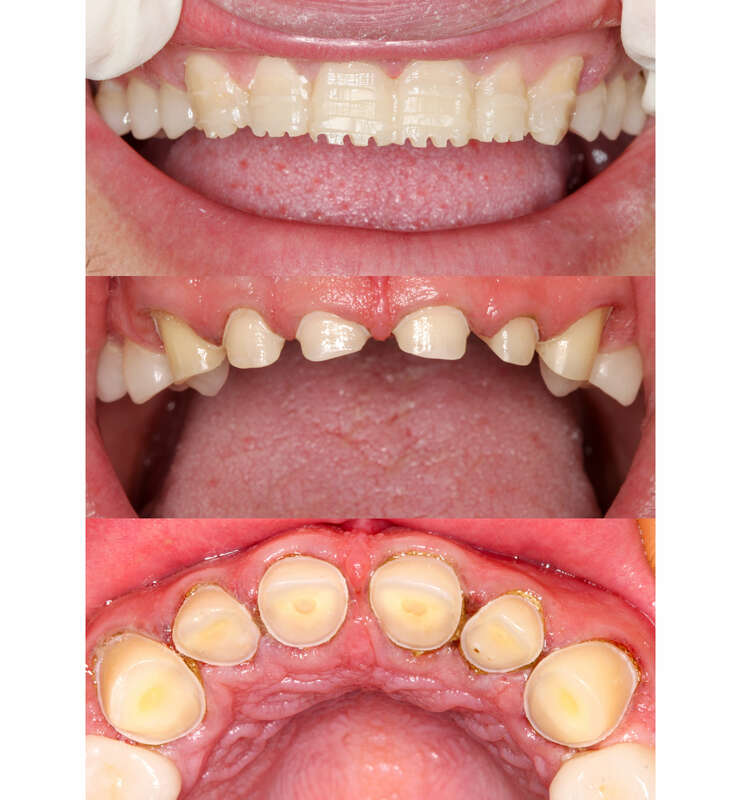 The final treatment plan was approved by the patient after form and function were confirmed as well. 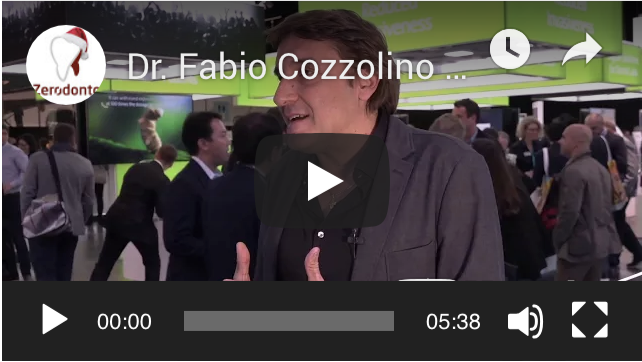 The next step consisted of joint deconditioning, using an NTI device, which was realized considering the vertical dimension of occlusion determined in the previous session. 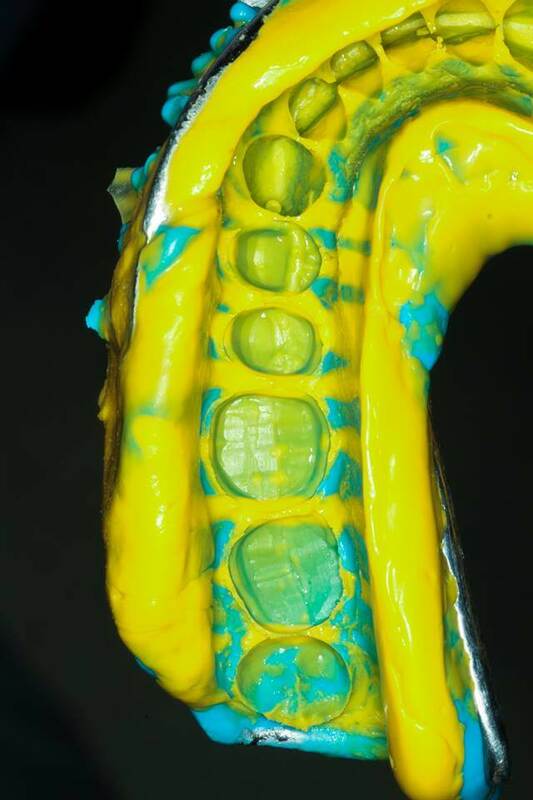 The patient used the NTI device for an year, only by night(in this period of time, the patient was unable to acces any other dental treatments). When the patient returned to the clinic, the occlusal chemical lesions were first addressed, using direct adhesion techniques. The mock-up was remade, considering the balance between the aesthetic and functional standards. 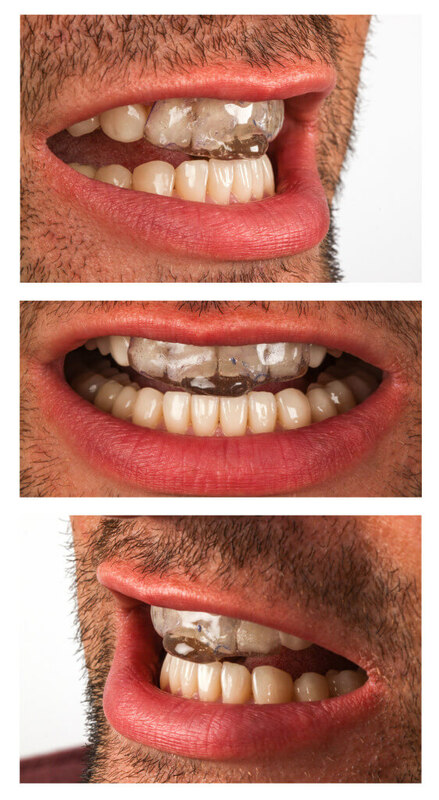 The prosthetic treatment was divided in two phases: restoration of the posterior teeth while maintaining the frontal mock-up(to support the established vertical dimension of occlusion and the proper mandibulo-cranian position), followed by the restoration of the anterior teeth. 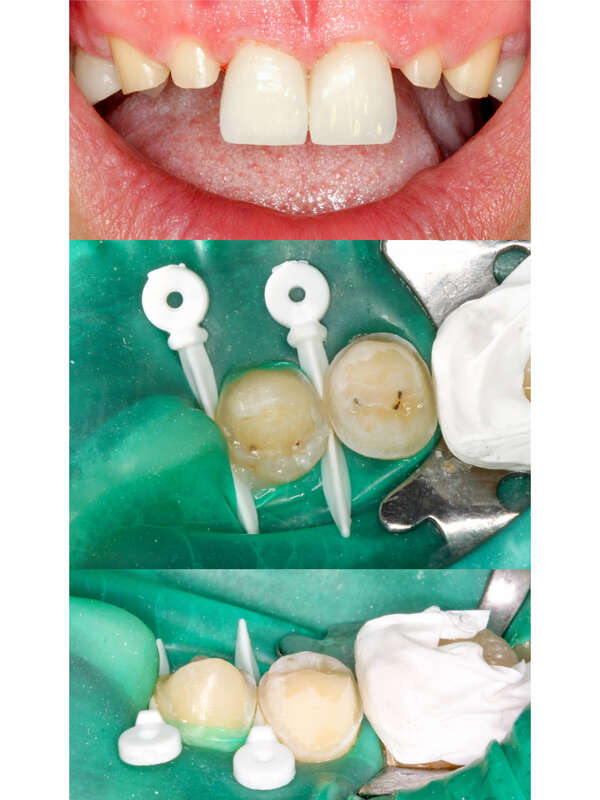 The posterior teeth were restored using E-max veneer layers (for the teeth 34, 35, 44, 45) and table-top crowns(36, 37, 46, 47) for the mandible and E-max full-contour press ceramic crowns for the maxillary arch, using a mock-up guided silicone stent to check hard tissue reduction, technique which leaded to minimal or no oclussal reduction. The two stage impressions were realized using hydrophilic poly-vinylsiloxane material. 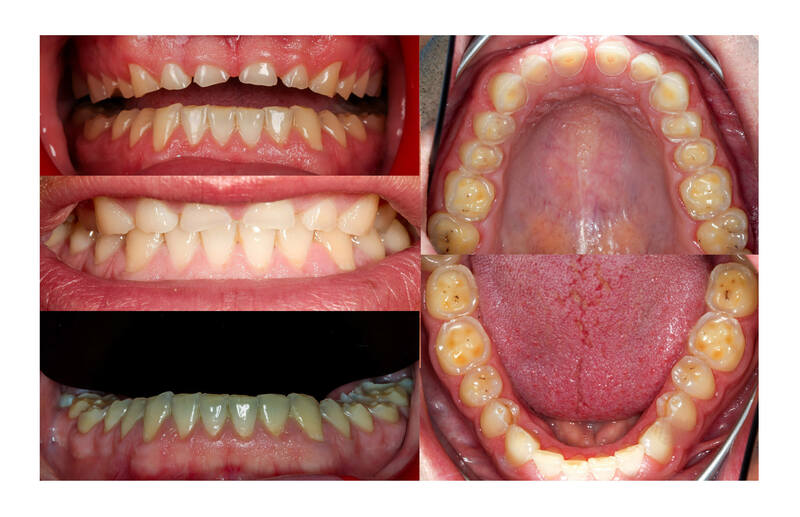 Until the final restorations were delivered, transitional restorations were placed on the posterior teeth. 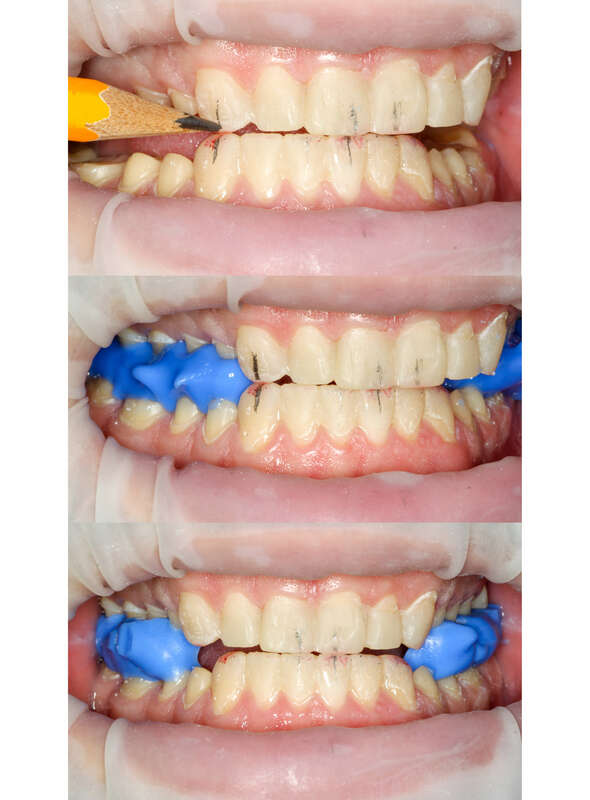 The final restoration were placed using esthetic adhesive luting techniques, under rubber dam isolation. 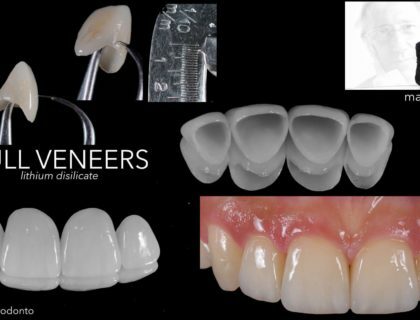 For the anterior teeth, the same preparation techniques were used, in order to place high aesthetic E-max ceramic restoration(using cut-back technique): veneers, crown-layers and crowns. 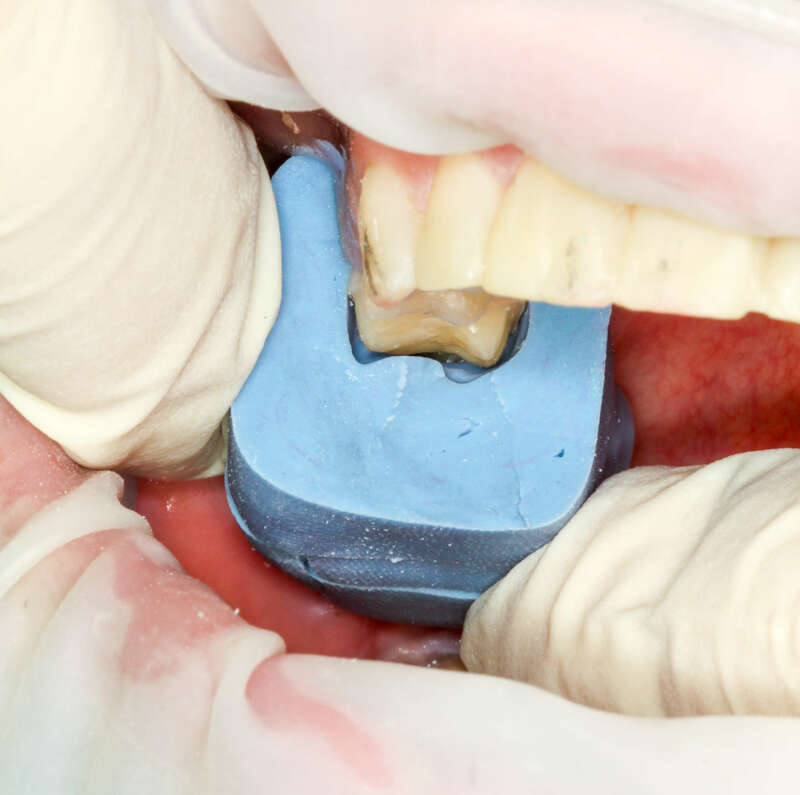 Extended NTI device was realized to preserve the proper mandibulo-cranian relations and pacient was informed about the importance of follow-up examinations. Watch the photo gallery on Facebook.